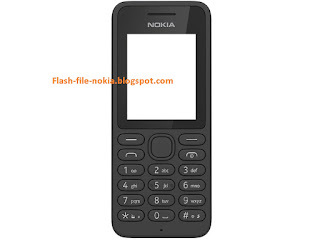 This post I will share with your latest version of flash file For Nokia 130 RM-1035. Before Flash your Nokia device at first backup your all kind of user data. after flashing your Mobile phone all data will be lost. you can't recover your any others user data. also, don't forget to remove sim card and memory card. You already know we always share with your latest version of all kinds of mobile phone flash files. Before flash your Nokia Mobile Phone at First Make Sure device don't have any hardware related problem. if you find any hardware problem you should fix it. What Type Of Problem Solve After Flash Nokia 130? when you turn off your Nokia mobile phone only show Nokia logo on screen then stuck. if your device is water damage phone after servicing your mobile everything okay but phone sometimes stuck slowly response. your mobile phone operating system corrupted. if you open your mobile phone any application device is restart. most impotent part of your mobile phone operating system if your phone operating system has any type of problem your Nokia 130 mobile phone get lots of problems. so get Nokia 130 flash file below on this page. after the finish, download if start flash. if you need any help please contact.